School districts ranking high in feeding low-income students supplement the traditional cafeteria line with breakfast in the classroom using a grab-and-go model. That's according to a new list from the advocacy non-profit Children At Risk. They ranked districts across the state based on whether or not they're providing low-income students with breakfast, lunch and after-school meals. Jenny Eyer is the director of child health research and policy for the organization. She says there wasn't always a push from school districts to prioritize student nutrition. "When we asked school districts when they fed students, the time that they would only really concentrate on food is around testing," Eyer says. "Now, we're getting districts to recognize the full year-long benefit of making sure kids have access to food." Eyers says school districts that top the list are typically serving meals in ways that are unconventional. "It's not just serving breakfast in a line before school starts," she says. "They're serving breakfast in the classroom or using a grab-and-go model. They're doing something to make it easier for kids to eat breakfast." That's what helped Irving ISD nab the sixth spot on the list of districts overall. The Dallas Morning News reports Irving uses grab-and-go hallway carts to help kids catch a bite to eat on their way to class. Children At Risk says those efforts lead to better performance in the classroom, as well as less absenteeism and fewer visits to the school nurse. The list looks at school districts with at least 10,000 students, with at least 60 percent of those students eligible for free and reduced meals. Children At Risk has three separate rankings: districts overall, large districts and "middle-income" districts. Eyer says that distinction is important because large and middle-income districts have some unique hurdles. Larger districts like Dallas ISD must contend with a huge population of students, while "middle-income" districts serve students from a wider range of economic backgrounds. "Those districts have some campuses with high-income students," Eyer says. "Those students aren't going to come to school and eat breakfast because they can get it at home. We don't want to penalize those districts for having a wide range of backgrounds." 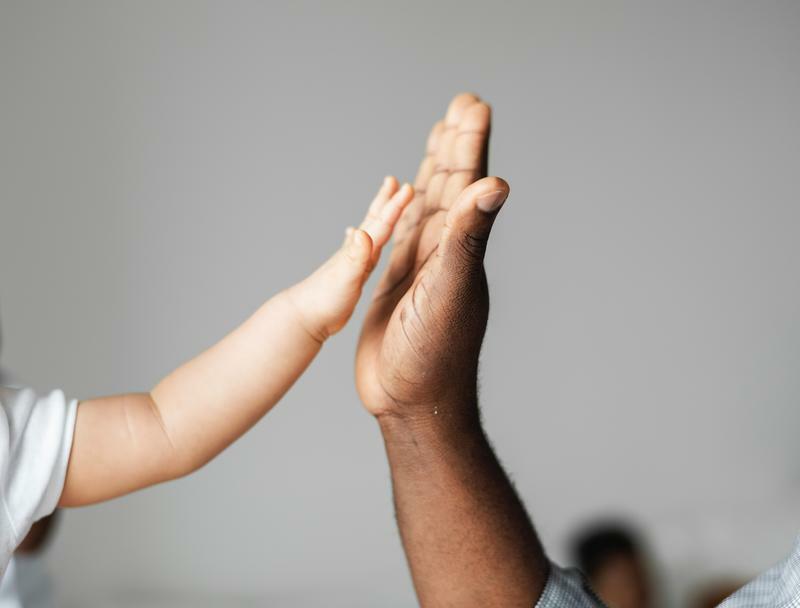 The Dallas Project on Education Pathways has been described as one of the most comprehensive studies into childhood development and school readiness in the nation. The multi-year project has been following the lives of hundreds of low income African-American and Hispanic children. In the United States, over 10 million children live below the federal poverty line, according to the U.S. Census Bureau. It's the lowest child poverty rate in decades, but researchers and public policy experts are determined to bring down that number even further. In a recently published report called "A Roadmap to Reducing Child Poverty" from the National Academies of Sciences, Engineering and Medicine, its co-authors suggest policy changes that they claim could cut child poverty in half in just 10 years. Cynthia Osborne contributed to the report. She's associate dean and director of the Center for Health and Social Policy at the LBJ School of Public Affairs at the University of Texas at Austin. Osborne says the irony of child poverty is that it's expensive. Diapers Etc. hands out around 10,000 to 12,000 diapers per month to families in need, for free. For those families on the financial edge, the necessary baby-care staple would be a crippling cost otherwise. A new statewide study shows 42 percent of Texas households struggle to make ends meet — households where at least one adult is working. In Dallas County, it's 43 percent. 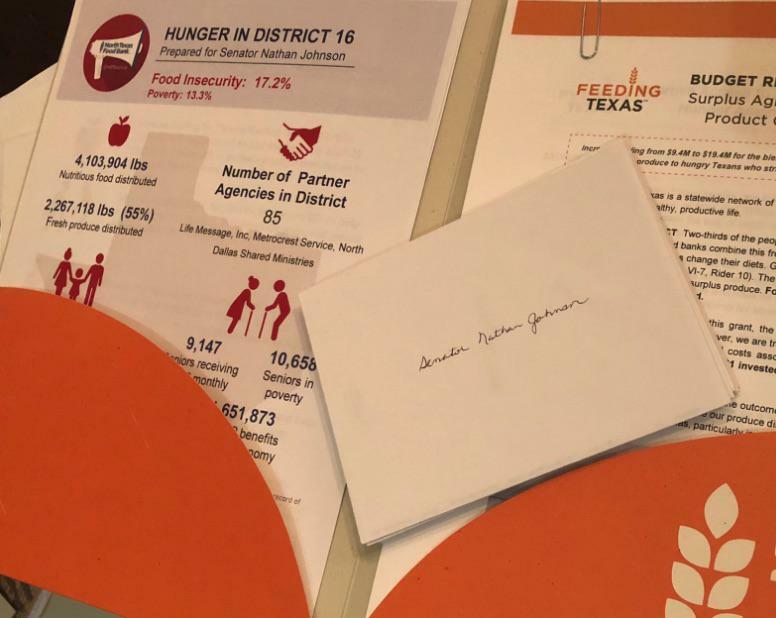 Representatives from Texas food banks will gather at the Capitol on Tuesday to talk with legislators about food insecurity and lobby for ways the state can help. Food insecurity is a bigger problem than some may think. The term doesn't just describe people who are going hungry; it also describes people who don’t have the household resources to consistently buy healthy food.